Jaime was born on February 29, 1948 in McAllen, Texas. At age 12, Jaime enjoyed singing along with his favorite records in hopes of learning Rock & Roll. As a freshman at McAllen High School, he joined a band called, The Dukes, which was later changed to The Ambassadors. As his band continued on through his senior year, they decided to change their name once more to Our Generation, which stayed with them through graduation in 1967. After finishing high school, Jaime got the opportunity to join a popular group known as The Innkeeper Band still remembered today. He played with them until 1973 when he then began working and had to put his musical career on hold. Although Jaime has worked as a food store manager and a customs broker, his real passion has always been for music. 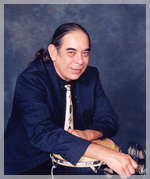 In 1985, he started working for the State of Texas, and shortly thereafter received an opportunity to play percussion with Noe' Pro and his band. This allowed Jaime to continue his musical career with a group that he feels has accomplished so much. Aside from performing with the band, Jaime also enjoys singing and dancing on his spare time. Juan Rodriguez, also known as John or John Henry was born in Castroville, Texas and raised in Hondo, Texas. 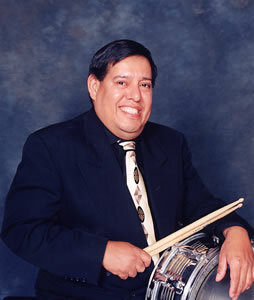 He became interested in playing the drum at a very early age when his Uncle Chuy, who had his own conjunto band, taught him some of the basic rhythms. After becoming a good drummer, John started to play with his uncle's group and soon after formed his own band called Orlando and the Blue Jades. He later played with other bands such as Tab and His Topcats and Ramon Villa & Su Orchestra, which was considered one of the best bands in town at the time. During John's freshman year, he formed Freddie and the Royal Sound and recorded three 45's that included the song, "A Tomar," which made the top 10 list for Radio KEDA in San Antonio. During his high school career, John also had the opportunity to play with The Royal Jesters, one of his all time favorite bands. After high school, John Henry attended Texas A & I University in Kingsville where he received his Bachelor of Music degree and continued playing with several local bands. Four years later, he began teaching and eventually moved to Pharr, Texas where he is currently employed as a band director with PSJA ISD. 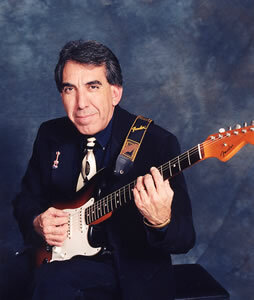 While in the Valley, John has played with several jazz, rock and country groups including, "Rondo," which he formed with a group of band director friends. He also was given the opportunity to accompany Myron Floren from Lawrence Welk Orchestra. John Henry now plays exclusively with Noe' Pro and the Band and has done so for the past seven years. Bobby Garza is originally from Mission, Texas and is an assistant band director and low brass instructor at PSJA North High School/Pharr-San Juan-Alamo ISD located in Pharr, Texas. He has a BA in Music Education from Pan American University in Edinburg, Texas and has been an educator for 18 years. 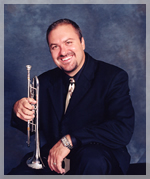 Bobby is in his 19th year of playing trumpet, flugelhorn, and Latin percussion with the Noe' Pro Band. He started playing professionally at age 17 and throughout the years has been a member of local bands such as: Romeo Sanchez Y La Excelencia, Roy Sanchez & Gitano Band, La Orquestra Universal, La Alegria Del Valle, Mariachi Del Valle, Side Street Boogie Band, The Kool Arrows Rhythm & Blues Band, Dean Canty Big Band, and the Paul Brass Dixieland Band. He has also played with Valley Express, West Side Band, Rene Sandoval, Joe Moreno, Agustin Ramirez, B.C. & Soul Express, Ramiro Cervera Orchestra, as well as with international musicians Jose- Jose, Julio Iglesias, Myron Floren, Manoella Torres, and the Temptations. He has also led his own jazz quintet, Bongo Bob & the Bobaloos. Manuel was born and raised in Mission, Texas. He graduated from Mission High School in 1972 and from Pan American University in 1981. He has been in education for 26 years as an assistant music teacher from La Joya ISD. 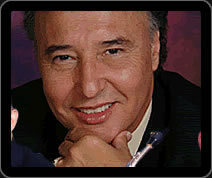 Manuel was instrumental in the creation of the La Joya High School Mariachi Program. Manuel has had the honor of performing with such great bands as, "The Flower Children," "The Rocking Gents," "Chanango Street Band," "Los Dinos" from Corpus Christi, Texas, "Roy Sanchez and Guitano Band," "Los Maximos," "Tony's Country Band," "Valley Express Band," "Westside Band," and for the last eight years, "Noe' Pro and the Band," from McAllen, Texas. 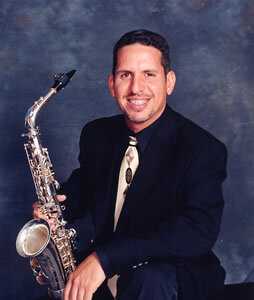 Henry Castillo is a saxophone player for Noe' Pro and the Band and has performed with them for the past seven years. Henry, a Valley native, was raised in Mercedes, Texas and started his musical career at age 11 when he decided to play sax in the sixth grade. He continued on through high school and played with his first group, "Rumor," who performed top forty hits. After high school graduation in 1986, Henry attended the University of Texas Pan American where he received a Bachelor of Arts in Music Education. He later attended Texas A&M University in Kingsville and graduated with a Masters of Music in 1995. A year later, Henry began playing the saxophone for Noe' Pro and the Band but has also performed with other bands such as The Temptations and Dean Canty's Jazz Orchestra. Henry currently lives in Edinburg and works as a band director at McAllen High School. Victor Sanchez resides in McAllen, Texas and is currently a band director at Edinburg High School. 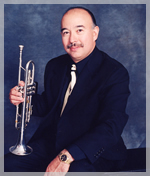 Victor has been playing the trumpet for 21 years and has enjoyed performing with local groups such as Dean Canty's Orchestra, The Bongo Dogs, Orchestra Universal, McAllen Town Band and McAllen Town Jazz Band, Lemonade Opera Company, and The Valley Symphony Orchestra. 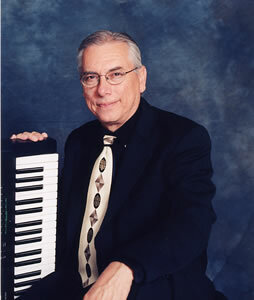 Because Victor enjoys playing different genres of music, he has also taken the opportunity to perform with several famous musicians and comedians such as Jerry Lewis, Don Rickles, Harry Connick, Sr., and Myron Florin. Although Victor is a sought after soloist, he has spent the last four years performing with Noe' Pro and the Band bringing his experience and outstanding talent. Victor has been married to his wife, Ana, for 5 years and enjoys spending time with his one-year-old son, Gabriel. James Stockwell, a recently retired band director, is originally from Benavides, Texas but now resides in Edinburg, Texas. He began playing the piano at a young age and pursued his musical career while attending Texas A&M University in Kingsville where he received a Bachelor of Music degree. James taught for thirty years in several school districts including Falfurrias, La Joya, Weslaco and Edinburg CISD. Although James is currently a member of Noe' Pro and the Band, he has also performed with other local groups such as, Cris Sandoval, Beto Leal, Waley Almendarez, and La Orquesta Universal. James also toured with Nelson Ed from Brazil back in 1983. James is an extremely talented piano player and continues to enjoy performing with Noe' Pro and his Band at functions throughout South Texas. "I am extremely honored to perform with this talented group of musicians who inspire me and contribute their knowledge, versality and professionalism to our music. I am also proud of their individual accomplishments and would like to personally thank each of them for always rising to the occasion." © Copyright 2010, Noe Pro, All Rights Reserved.